This page is dedicated to the Transformers of 1986. 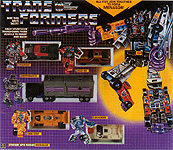 This, the Transformers' third year is considered by many collectors to be the line's best, as it includes many fan favorites who were featured in Transformers: The Movie. 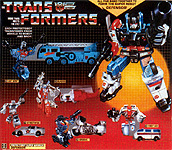 Among others, it includes more "combiner teams" than any other year in Transformers history. 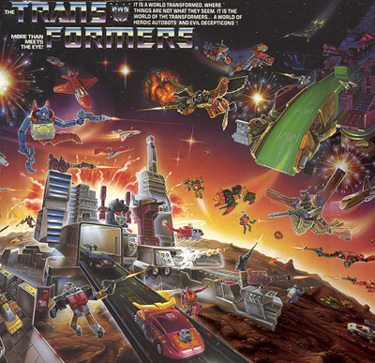 In addition to the Aerialbots, Stunticons, Protectobots, & Combaticons, we also got (still) the largest TF combiner team, who were formed by a group Beast Wars fans will certainly recognize, the original Predacons!